Marquee Elegance is a family business that has been supplying Marquees for weddings, parties, functions and corporate events since the 1980s. 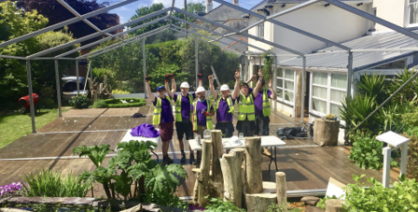 The original marquee hire service was born from a marquee repair and cleaning business trading from a yard behind the family home located at Ringwood Road in Poole. The marquee hire part of the business has expanded steadily whilst keeping pace with the latest innovations in marquee technology and comfort such as lighting, heating, hardwood floors and furniture. Marquee Elegance hires marquees across Dorset, Hampshire, Somerset and Wiltshire.